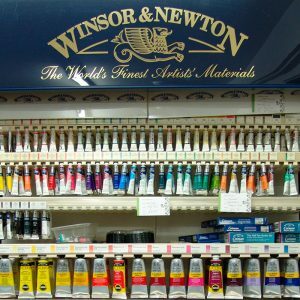 As artists ourselves, we understand and appreciate the benefit of purchasing quality materials paired with advice and opinions of people who have tried and tested the products themselves. We also have a comprehensive order service that can have any out of stock or un-stocked item delivered to the gallery within 3 working days. We try to keep aware of new brands and materials to give an informed and honest opinion to the customer on current products on the market.